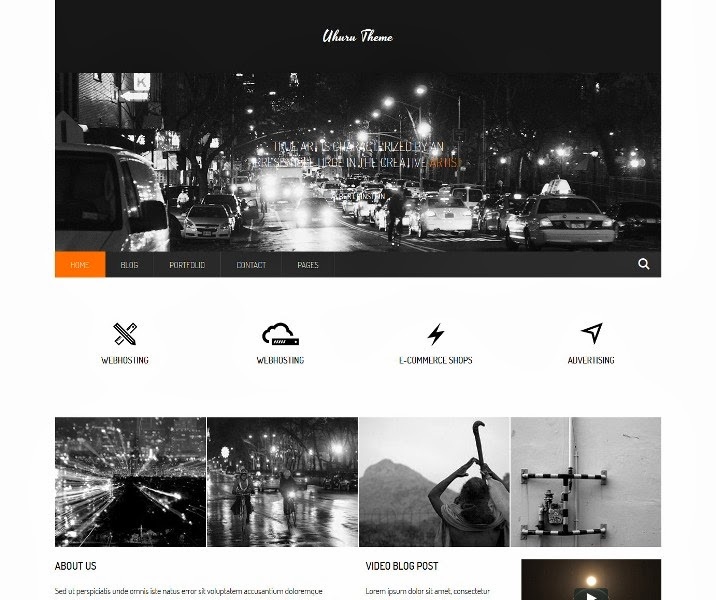 Best Collections of Free and Premium Responsive Concrete5 Themes. Passport is an elegant theme which allows flexibility to both users with no experience programming as well as expert programmers. Features are Clean, Stylish Design, Gorgeous Fullscreen Design, Fully Responsive, 15 Beautiful Layouts, Jquery Animations And Effects and more. MetroMe C5 is a fully responsive one-page vCard theme for concrete5. It will help you present your personality, portofolio, life-style and contact info in a colorful, yet professional way. It’s inspired by the Modern UI (Metro) design style. Features are 13 custom blocks (powerful and unique), 29 hand-picked backgrounds, customizable theme background, unlimited customizable theme colors, easily add and edit content and more. 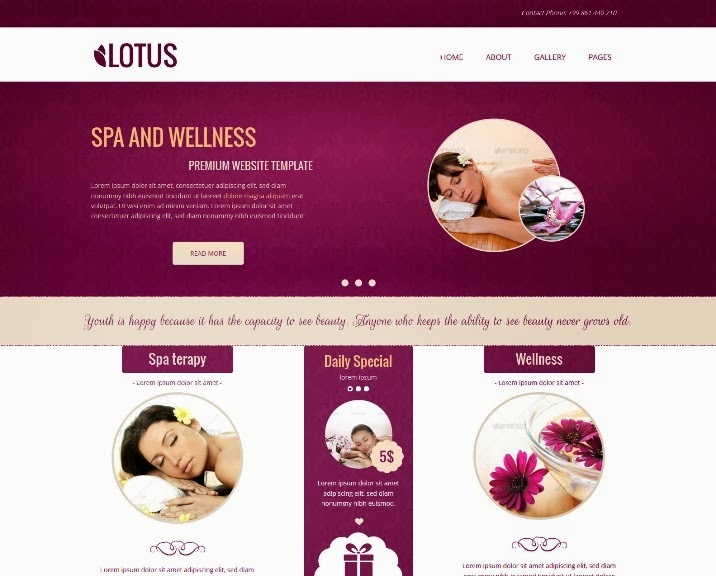 Lotus is an elegant and modern Bootstrap responsive website theme for spa and wellness centers but it is also very easy to customize it for other business like restaurants, hair and beauty salons and other. 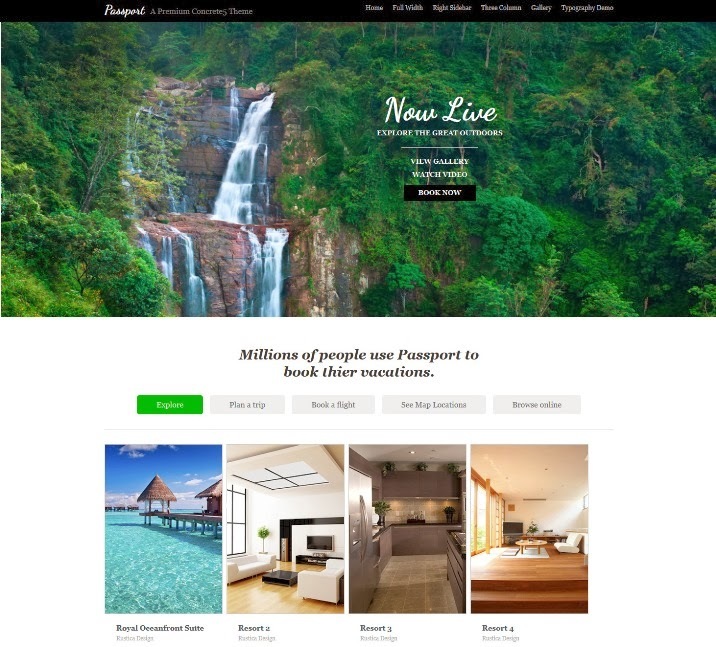 Theme contains of 13 page types: home paralax 1, home paralax 2, home slider, about us, portfolio, contact, services, sidebar left, sidebar right, wide page, three columns, two columns, four columns. 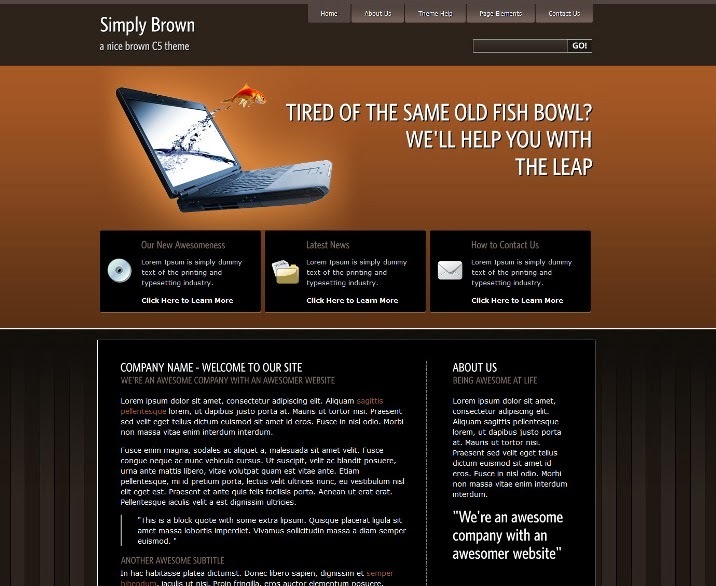 Simply – Brown is a Free Concrete5 Theme. 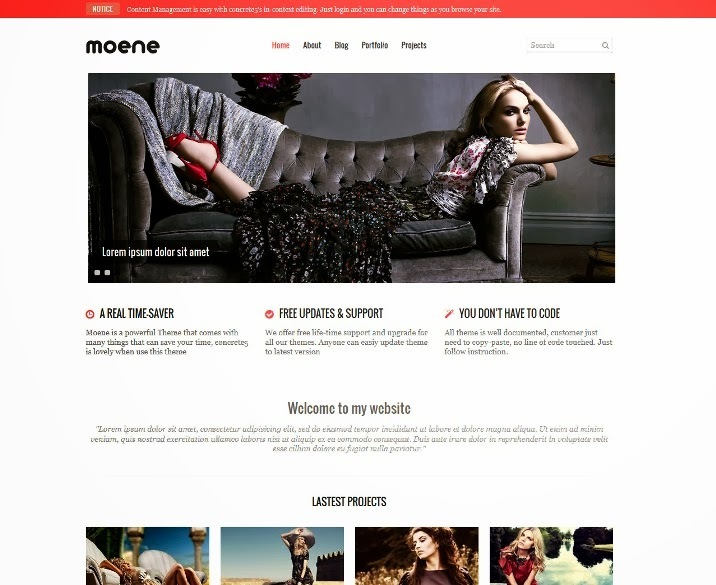 Features are Responsive Theme, Validating HTML5 Markup, 3 blocks come with the package, Styled drop down navigation, Print Style Sheet and more. Uhuru is responsive, multi-purpose theme built with Twitter Bootstrap. It has unlimited possibilities for color customization and supports Google WebFonts. Uhuru comes with several page types and custom block. All this makes it flexible and easy to customize. Theme is packed to package which makes it easy to install and can be fully operational within 5 minutes. Documentation will guide you step by step through installation and configuration to recreate preview setup. 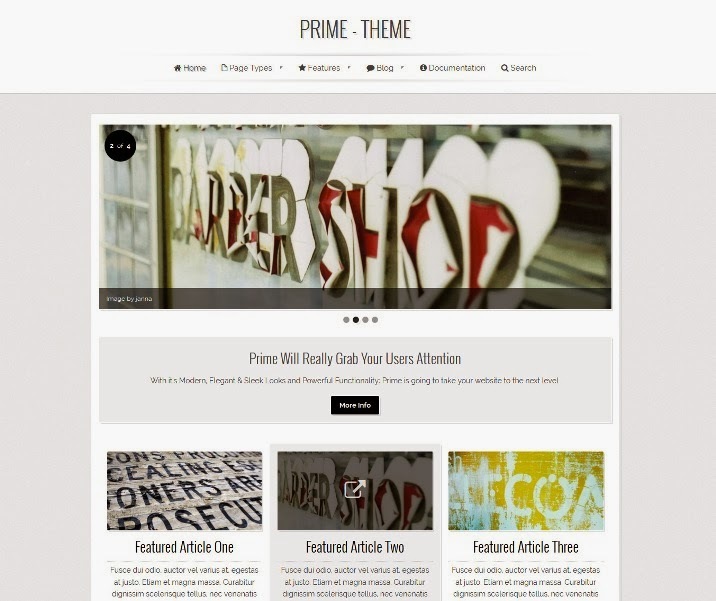 Prime is a responsive concrete5 theme built using the exceptionally powerful Foundation 4 framework. Elegant and simple: yet feature-rich and responsive. Prime is a fabulous starting point for any concrete5 website. 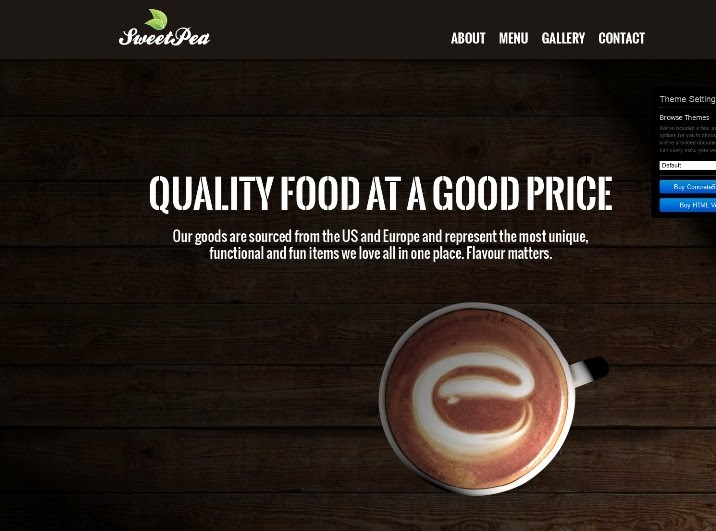 Features are Font Awesome Integration, Responsive Layout, Unlimited Color and more. 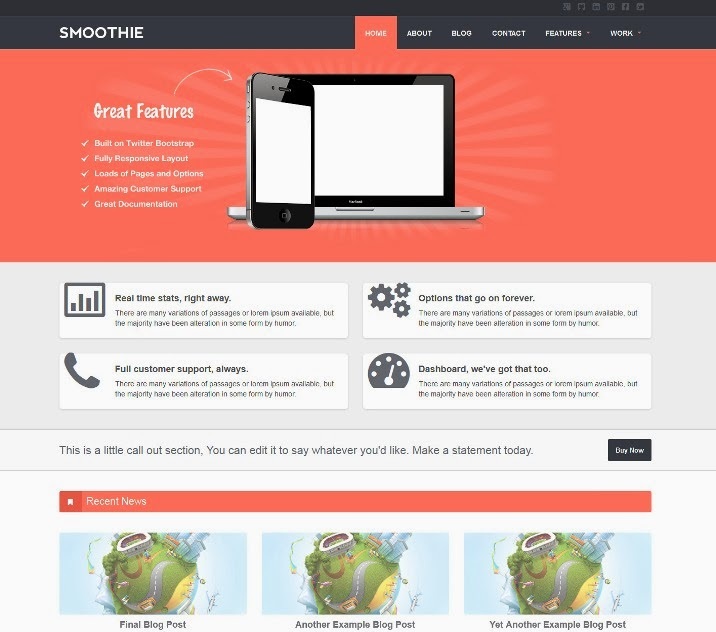 This theme is great for anyone who needs website for business or other presentational purpose and who needs to be able to easily add custom fields (text, images etc. ), custom blocks, custom pages and edit content without changing html but only using editable areas directly on website. Features are Responsive layout, Paralax slider, Foundation CSS framework 3, Google and icon fonts, 4 color skins, Mobile retina ready and more. 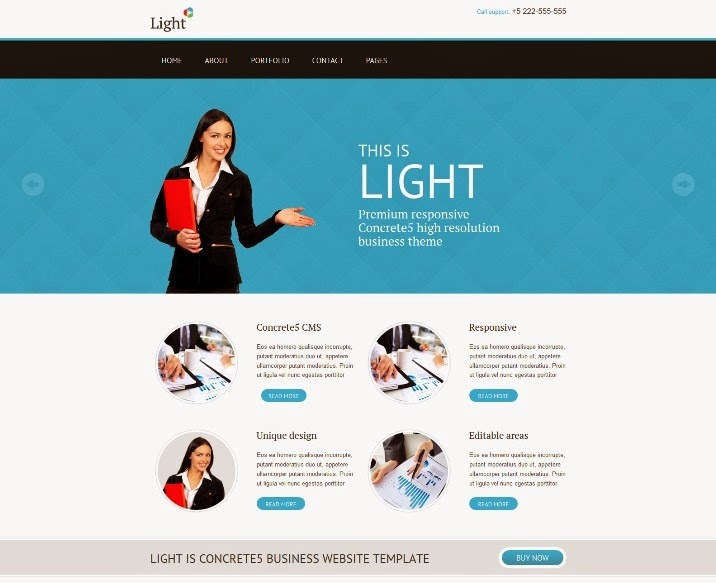 If you are looking for free Concrete5 templates that has a good design, then you will find it difficult to find them, however there is one template named “rigid”, a concrete5 business template with professional look that can you download for free. Features are responsive design, single page or two column layout, custom typography logo and powerful jQuery image slider on the homepage. 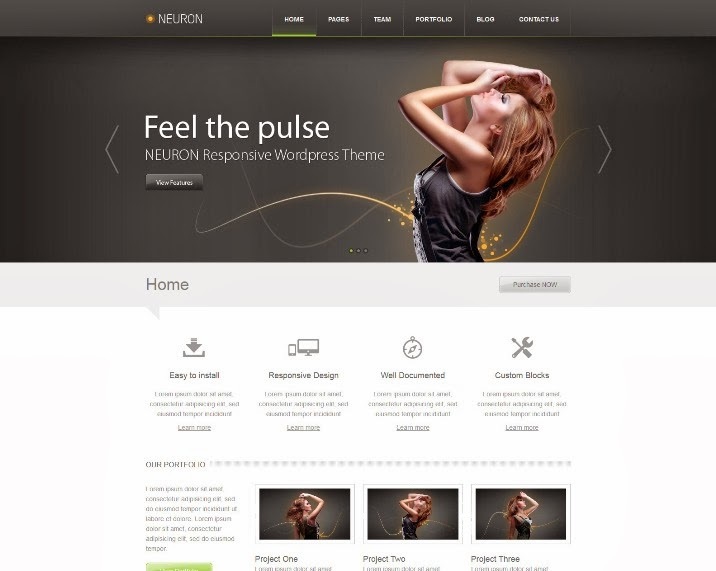 Neuron Responsive Concrete5 Theme is a clean and modern theme design with 3 built in theme colors to suit your needs. With its high contrast design, Neuron will give your next project the eye catching edge to stand out from the crowd, and it’s intuitive interface will ensure the user experience you’d expect from a premium Concrete5 theme. Built on Bootstrap, Neuron has been carefully crafted to be easily customized and flexible enough utilizing custom built blocks. 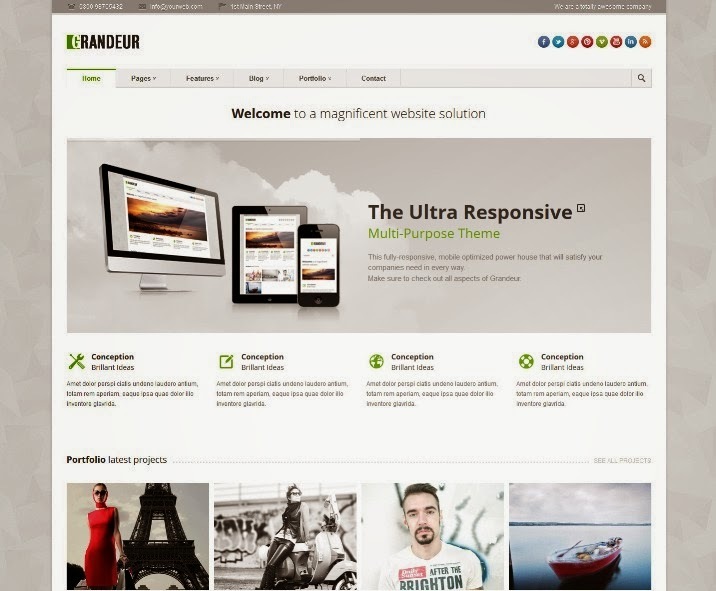 Being responsive the theme layout is fluid and is compatible with all mobile and tablet devices. 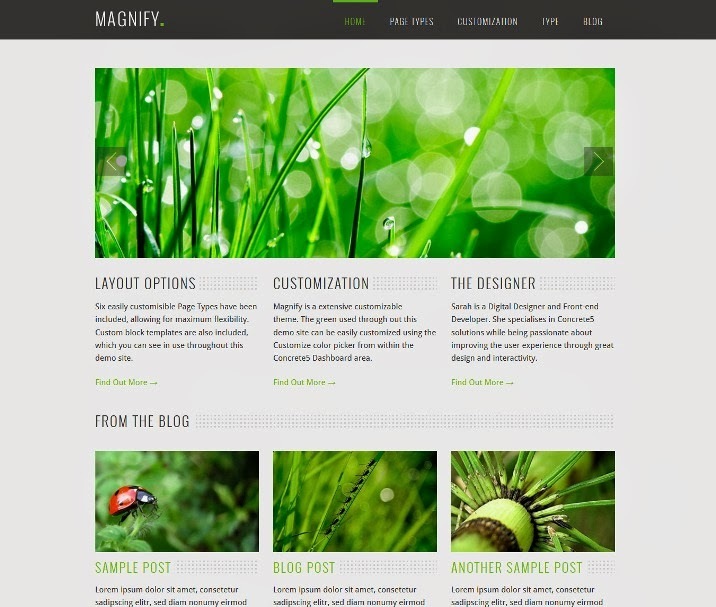 Magnify is a responsive concrete5 theme which will suit a wide range of possible applications. It’s perfect for corporate websites to personal portfolios. With customize options from within Concrete5s Dashboard. 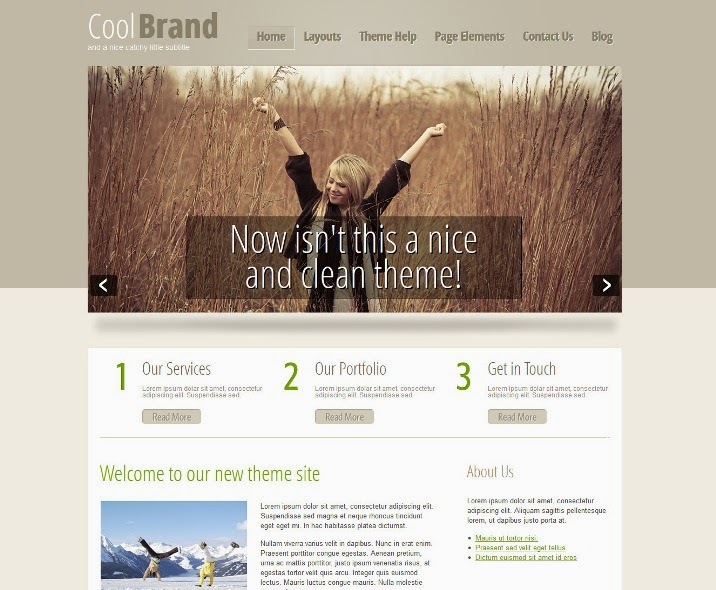 This theme is completely responsive, the design scales and adjusts to look good in any browser or device. It has built using Zurbs Foundation 4 grid framework. 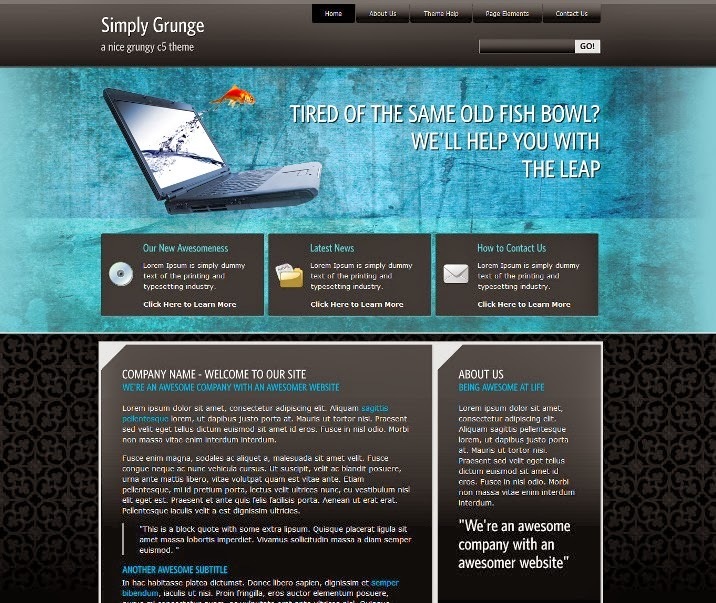 Simply – Grunge is a Free Concrete5 Theme. Features are Responsive Layout, Validating HTML5 Markup, 3 blocks come with the package, Print Style Sheet, Styled drop down navigation and more. This responsive Concrete5 template is based on Twitter Bootstrap. It is designed to give your users the best optimal experience on whatever browser, tablet, or phone they are on. This theme is very lightweight due to the very minimal design, and clean markup. Grandeur is a premium responsive concrete5 theme with a wide range of possible applications ranging from corporate websites to personal online portfolios. Features are Build with Twitter Bootstrap, Responsive Layout, Custom Background Images, Unlimited Sidebars, Unlimited Portfolios, An Option Rich Admin Panel, Custom Blocks (Widgets) and more. 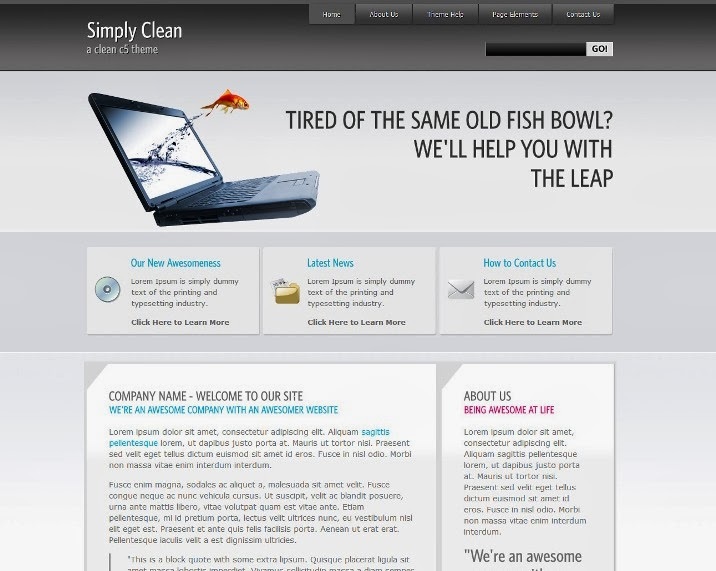 Simply – Clean is a Free Concrete5 Theme. Features are Responsive Layout, Validating HTML5 Markup, Print Style Sheet, Styled drop down navigation, Page Type for ChadStrats ProBlog and more.